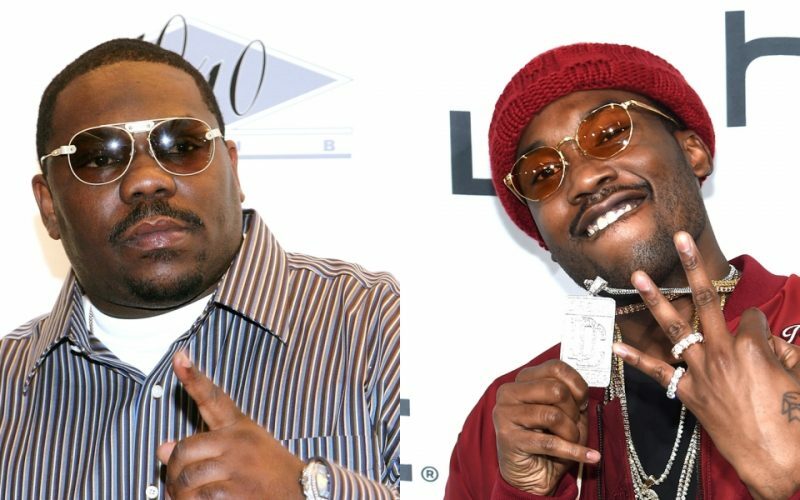 Beanie Sigel is spilling a lot of Meek Mill tea today and a lot of it hints at a Nicki Minaj breakup. The Roc-A-Fella rap legend also spoke about Drake, Meek Mill and The Game beef during his interview on Tax Season on Wednesday. There is no doubt that the MMG emcee will be forced to respond to this interview. But one of the most standout statement from the interview centers around Meek Mill and Nicki Minaj relationship where Beans hinted that Meek told him that they have broken up. “He made a statement to me — I ain’t gonna put his statement out there — about him and his relationship with his woman,” Beanie Sigel said. Beanie Sigel also said that he gave Meek Mill some relationship advice. “If you don’t come in the door strong, you gotta come in strong from the door,” he said. Beanie Sigel also spoke about getting knocked out by Meek Mill and his crew last weekend after his performance on the Bad Boy Reunion Tour. Beanie Sigel is clearly feeling salty about that running with Meek Mill’s Dreamchasers crew over the weekend. After this interview you can bet that we will some activities from the MMG rapper on social media in the coming days.